You feel you have been let down by trust. You are scared to trust again as it may leave you feeling vulnerable and insecure. Trust is the foundation of all our giving and receiving in life. It is the foundation of how we TRUST the Universe to provide for us. It is the starting point of TRUSTING that everything will eventually work out. Many times we get become disenchanted or are disappointed because we were not specific about our expectations of trust. Is the assumption that everybody’s expectations are the same? Communicate your expectations. Give yourself permission to trust again and talk to God and His Angels about your fears. 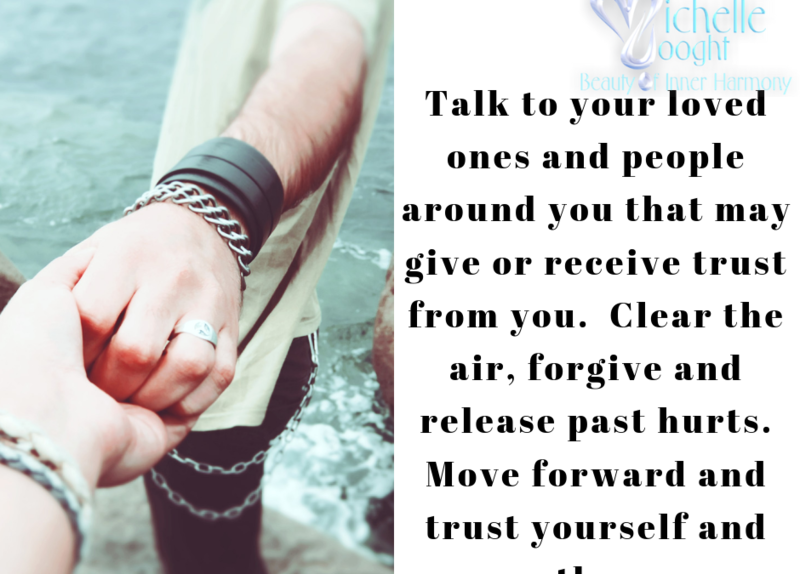 Talk to your loved ones and people around you that may give or receive trust from you. Clear the air, forgive and release past hurts. Move forward and trust yourself and others.